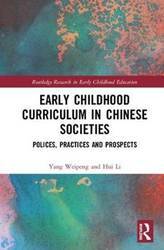 This book is an exposition of how political, cultural, historical, and economic structures and processes shape the nature and character of curriculum landscapes globally. 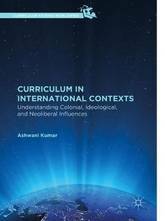 By developing theoretical connections and providing contextual background, Kumar explores how colonialism and imperialism, state-led ideological control, and the wave of neoliberalism and capitalism insidiously impact the process of curriculum development in different parts of the world. Kumar also underscores how intellectual movements such as Marxism and postmodernism have shaped curriculum theory in varied political and economic settings. 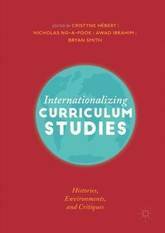 By emphasizing the connections between and among diverse cultural and political conceptualizations of curriculum, this volume contributes to the internationalization of curriculum studies discourses. This book focuses on the process of creating and educating innovation leaders through specialized programs, which are offered by leading academic schools. Accordingly, the book is divided into two parts. While the first part provides the theoretical foundations of why and how innovation leaders should be created, the second part presents evidence that these foundations can already be found in the programs of ten top-level universities. Part one consists of six chapters following a rigorous plan of content development, addressing topics ranging from (1) innovation, to (2) the settings where innovation occurs, (3) innovation leadership, (4) the need to change education, (5) a taxonomy of advanced educational experiences, and (6) cases of positive vs negative innovation leadership in the context of complex problems. 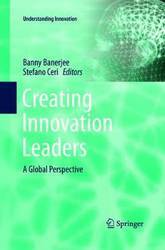 Here the authors show that a new kind of innovation leadership is urgently needed, how it can be created, and how it is put into action. 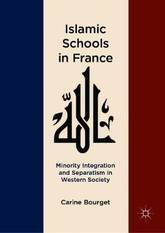 The second part is a collection of invited chapters that describe in detail ten leading academic programs: their objectives, curricular organization, enrollment procedures, and impact on students. Selected programs include four North American institutions (Stanford's d.school, Harvard's Multidisciplinary Engineering Faculty, Philadelphia University, OCAD's Master of Design on Strategic Foresight & Innovation), five European institutions (Alta Scuola Politecnica of Milano and Torino, the EIT Master Program, Paris' d.school, Brighton's Interdisciplinary Design Program, Aalto University) and the Mission D program at Tongji University in China. 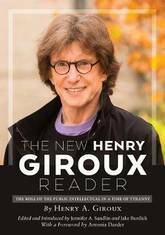 The book is dedicated to all those who recognize the need to provide stimuli regarding innovation and innovation leadership, primarily but not exclusively in academia. These include, but are not limited to, professors, deans and provosts of academic institutions, managers at private organizations and government policy-makers - in short, anyone who is engaged in promoting innovation within their own organization, and who feels the need to expand the intellectual and practical toolbox they use in this demanding and exciting endeavor. 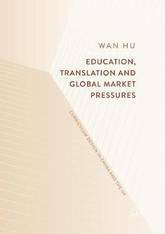 This book investigates the market-driven transformation of the higher education sector and the response given by the translation programmes in the UK and China, two vastly different social and economic contexts. 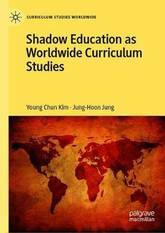 It provides an in-depth look at six selected case studies, critically analysing how social, economic, and political factors have affect curriculum designs in different translation programmes. 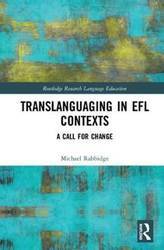 This innovative volume contributes to the development of knowledge in an important area of translation studies and opens a new way for providing both cross-national and cross-disciplinary perspectives in analysing the curricula of translation programmes. 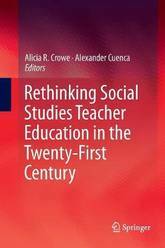 In this volume teacher educators explicitly and implicitly share their visions for the purposes, experiences, and commitments necessary for social studies teacher preparation in the twenty-first century. 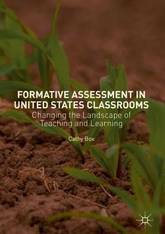 It is divided into six sections where authors reconsider: 1) purposes, 2) course curricula, 3) collaboration with on-campus partners, 4) field experiences, 5) community connections, and 6) research and the political nature of social studies teacher education. 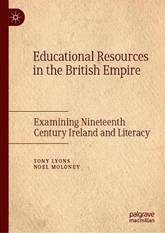 The chapters within each section provide critical insights for social studies researchers, teacher educators, and teacher education programs. Whether readers begin to question what are we teaching social studies teachers for, who should we collaborate with to advance teacher learning, or how should we engage in the politics of teacher education, this volume leads us to consider what ideas, structures, and connections are most worthwhile for social studies teacher education in the twenty-first century to pursue. 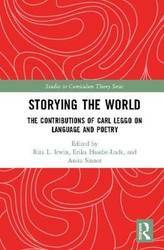 This book is an edited collection grouped into three key thematic areas. 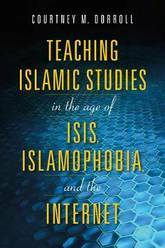 Its authors are researchers and theoretical scholars in the fields of education curriculum, education technology, education philosophy, and design for education. 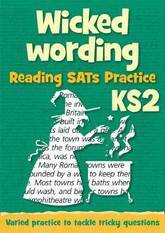 They present primary research and theoretical considerations, descriptive accounts and philosophical reflections to provide readers with a broad sweep of the `state of play' in thinking about the place and space of learning. 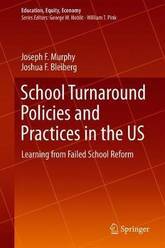 Transforming Education distils, from a panoply of critical arenas, an understanding of the forces currently at play in redefining curriculum agendas for education - from primary to post-secondary. 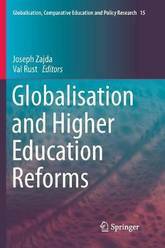 It analyses the major ways in which the built environment of education is transforming, in response to various globalised policy drivers and new education delivery technologies. 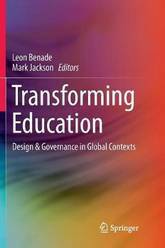 Its authors critique the ways education performs a governance function over the users and occupants of space, be it physical or virtual. 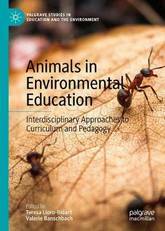 For readers who may be seriously engaging with the concept of spatiality in relation to education for the first time, this book provides the opportunity to develop a clear understanding of a wide scope of theory, practice and critique in relation to learning environments. 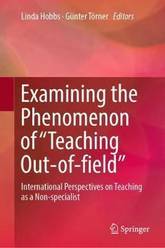 This book is designed to introduce professors and administrators in higher education to the philosophical, theoretical, and research support for using a constructivist perspective on learning to guide the reconstruction of undergraduate education. 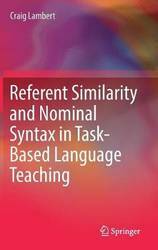 It presents an original framework for systematically linking educational philosophy and learning theories to their implications for teaching practice. 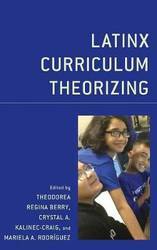 In this volume, Innes summarizes the sources he found most useful in developing his own set of teaching principles and course development process, and makes an argument for a particular perspective on learning--transactional constructivism--which is consistent with the philosophy of John Dewey and supported by current theory and research in learning science. Transactional constructivism, a combined approach, builds on the strengths of two competing views: psychological constructivism and the sociocultural perspective. 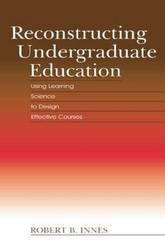 Reconstructing Undergraduate Education: Using Learning Science to Design Effective Courses: *overviews the philosophical and theoretical underpinnings of the teaching model that is the focus of the volume; *presents a summary of Dewey's educational philosophy and connects his work to current theory and research in learning science; *examines psychological constructivism, one of the basic positions within the range of learning theories that takes a constructivist perspective; *offers a case study example of a course designed and taught from this perspective; *reviews the sociocultural and the transactional constructivist perspectives; *explores the quality of dialogue and disciplinary discourse in the classroom--an issue that is critical to the success of models derived from a transactional constructivist perspective on learning; and *explores broader issues related to reform in higher education. 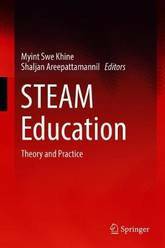 This volume is a vital resource for all professionals involved in undergraduate education. Art and Design Pedagogy in Higher Education provides a contemporary volume that offers a scholarly perspective on tertiary level art and design education. 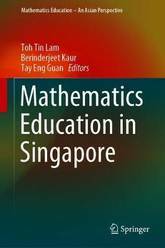 Providing a theoretical lens to examine studio education, the authors suggest a student-centred model of curriculum that supports the development of creativity. 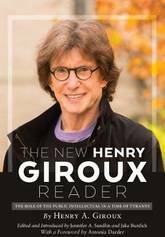 The text offers readers analytical frameworks with which to challenge assumptions about the art and design curriculum in higher education. 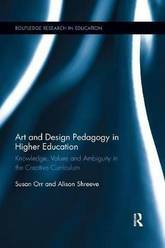 In this volume, Orr and Shreeve critically interrogate the landscape of art and design higher education, offering illuminating viewpoints on pedagogy and assessment. New scholarship is introduced in three key areas: curriculum: the nature and purpose of the creative curriculum and the concept of a `sticky curriculum' that is actively shaped by lecturers, technicians and students; ambiguity, which the authors claim is at the heart of a creative education; value, asking what and whose ideas, practices and approaches are given value and create value within the curriculum. These insights from the perspective of a creative university subject area also offer new ways of viewing other disciplines, and provide a response to a growing educational interest in cross-curricular creativity. This book offers a coherent theory of art and design teaching and learning that will be of great interest to those working in and studying higher education practice and policy, as well as academics and researchers interested in creative education. While much has been written about science education from pre-K through to postgraduate study, interaction with science and technology does not stop when schooling ends. 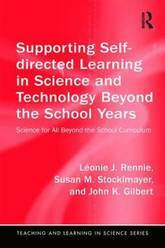 Moving beyond scholarship on conventional education, this book extends the research and provides an original in-depth look at adult and lifelong learning in science and technology. 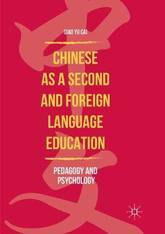 By identifying the knowledge and skills that individuals need to engage in self-directed learning, the book highlights how educators can best support adult learners beyond the years of formal schooling. 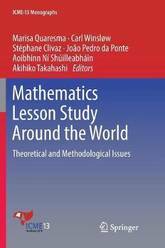 Through case studies and empirical analysis, the authors offer a research-based exploration of adults' self-directed learning and provide tools to support adults' learning experiences in a wide range of environments while being inclusive of all educational backgrounds.